Tanjant Tool Co build workshop proven guides for gas and plasma cutting. However in any busy environment some parts may get lost or damaged. The small parts like fasteners and snap rings (circlips) can be identified from the Parts Layout below. 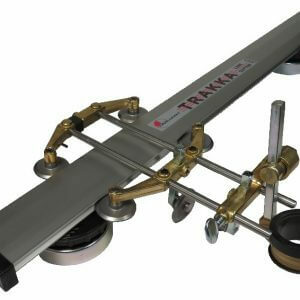 Larger parts may be identified from the label on the inside of the lid on Gas or Plasma Guide Kits or from the Owner Manual enclosed with each Guide Kit or Trakka Line Cutter. Another good information source is the “How-to-Use” button on each product page. Some of these have exploded drawings with part numbers or descriptions. These drawings can also be downloaded and noted for email to sales@tanjant.com for extra help.